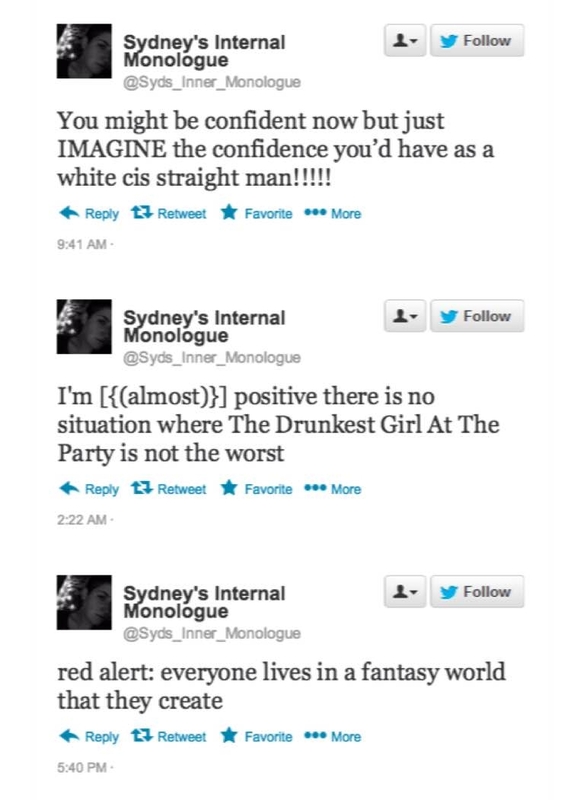 so many questions, so few answers - but Sydney Morin's Inner Monologue can't be contained. catch up on her visual column here. Sydney Morin is a writer and performer from Boston who recently graduated from Ithaca College with a BS in Television Scriptwriting. She's very into comedy, taboo subject matter and pop culture. 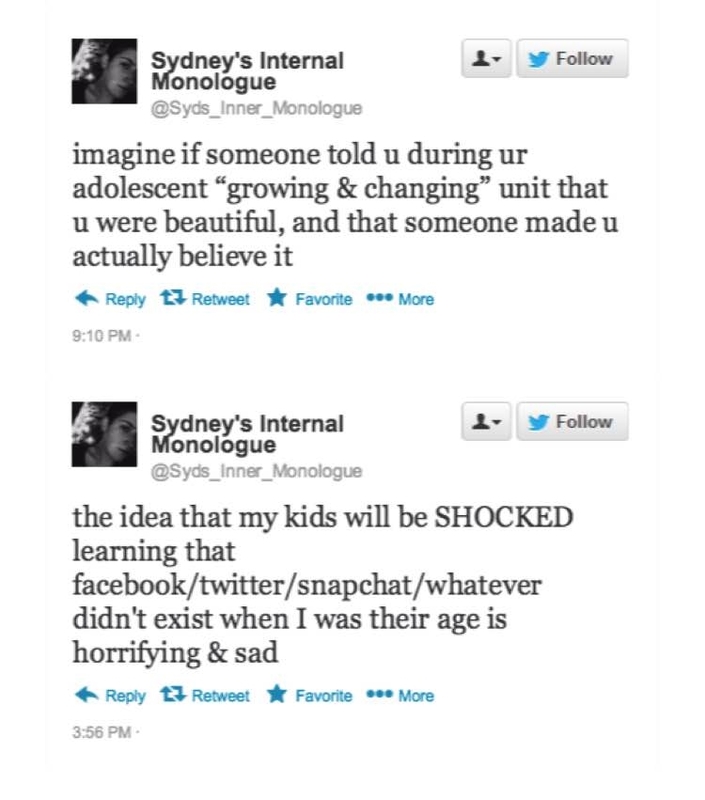 Also, Sydney loves performing improv but she didn't tell you that initially because you probably have an iffy preconceived notion about improvisers. She's interested in the thin, creative line that blends humor with brutal honesty. She encourages you to think about yourself while you laugh at her. Sweatpants, hair tied, chillin' with no makeup on are a few of her favorite things. You can follow her on Twitter and Instagram: @sydmorin.